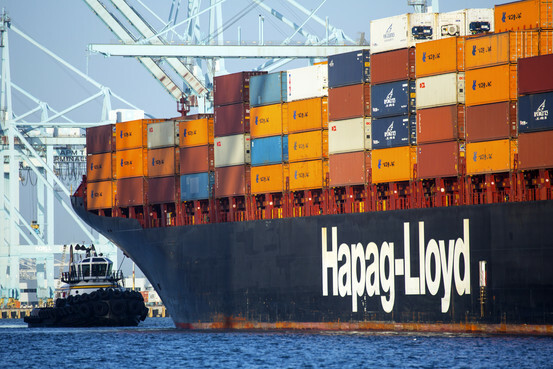 Hapag-Lloyd achieved a net profit of EUR 114 million (previous year: EUR -604 million) in the financial year 2015. EBITDA amounted to EUR 831 million (previous year: EUR 99 million) and the operating result (EBIT) to EUR 366 million (previous year: EUR -383 million). “The result for the year is in line with our expectations. 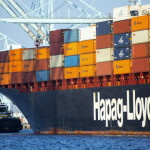 Hapag-Lloyd has delivered what we promised. 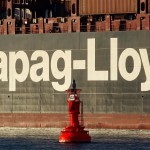 Also in comparison with our main competitors, Hapag-Lloyd has made up tremendous ground and is back among the top performers in the industry,” said Rolf Habben Jansen, CEO of Hapag-Lloyd AG, commenting on the presentation of the final figures for 2015. “We’ve worked hard for this success by quickly integrating CSAV’s container business and by exploiting the synergies, as well as with the OCTAVE cost-cutting and efficiency programme, which will make a total earnings contribution of in total USD 600 million from 2016. More than 70% of the expected result improvements have been realized in 2015 already. On the back of this success, we already launched OCTAVE 2 towards the end of 2015. In this programme we have again identified promising potential that should further improve our efficiency.” In 2016 Hapag-Lloyd has started the roll out of the “Compete to Win” programme, to increase focus on the customer and improve revenue quality. The transport expenses grew 19.8%, or EUR 1.198 billion, to EUR 7.258 billion. 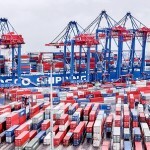 The transport expenses per TEU decreased by 20.1% from 1,363 USD/TEU in 2014 to 1,089 USD/TEU last year. This is caused by a lower bunker consumption price, which, at 312 USD/tonne in 2015, was significantly below the previous year’s level of 575 USD/tonne. Also lower consumption (per TEU transported) as well as the synergies and effects of the OCTAVE programme contributed to reducing unit cost. The development of the business so far in 2016 is in line with expectations. “We believe that the ongoing consolidation and the upcoming new alliance set-up should add stability to the market, and that there will be some recovery of the market,” Habben Jansen said. 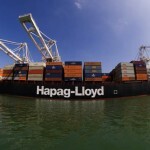 Under these conditions, with a normal peak season and thanks to further synergy effects, additional cost reductions and efficiency projects as well as the first effects of the “Compete to Win” project, Hapag-Lloyd plans to achieve a moderate increase in EBITDA and a clear increase in EBIT in the current financial year when compared to 2015. The year-on-year improvement in equity to EUR 5.046 billion (equity ratio: 45.5%) and the increased liquidity reserve of EUR 962 million serve as a solid basis for exploiting additional growth opportunities (all figures as at 31. December 2015).